With unemployment at an all-time low – 4% across all industries as of June 2018, according to the Bureau of Labor Statistics – employee retention is top of mind. The proliferation of available jobs in hospitality has sparked even more competition among hotels to attract and retain employees. An additional dollar per hour or free daily lunch is proving to be enough of an incentive for hourly employees to leave one property and move to the next. It’s innately difficult to connect with hotel employees because in a 24/7 work environment, cross-team collaboration is near impossible. Daytime employees and managers rarely meet or communicate with those working the night shift or working part-time on the weekends. Factor in that on average, 83% of a hotel’s hourly employee do not have a work email address and don’t sit behind a desk, and the challenge to engage with those people responsible for touching and serving your guests heightens. Today, 43% percent of Millennials envision leaving their jobs within two years; only 28 percent seek to stay beyond five years, according to the 2018 Deloitte Millennial Survey. Gen Z respondents express even less loyalty, with 61 percent saying they would leave within two years if given the choice. So, how do hoteliers retain valuable employees – especially Millennial and Gen Z associates? Dr. Linda Herkenhoff, a professor in the Graduate School of Business at Saint Mary’s College of California teaching Leadership and Organizational Behavior and Quantitative Analysis, says that to maximize employee retention, foster employee commitment and create a healthy workplace, hoteliers must understand how employees are perceiving the organization and at which stage during the employment lifecycle. In the Pre-Arrival Stage (before an employee accepts a position), job-seekers will research the hotel and form their own ideas about how this job will serve them if hired. Once hired, the Encounter Stage begins. It’s here that the new employee is introduced to the organizational culture and determines if they want to engage with the hotel’s culture or not. Then comes the Digital Metamorphosis Stage – the point when an employee is changed from an outsider to an insider that now fits into the organization. How long it takes to morph depends on the company’s culture, the job position and the employee himself. Only when an employee gets through the Digital Metamorphosis Stage can employers maximize the employee’s commitment to the organization. It’s this stage when a hotel will achieve its lowest turnover because its people are committed to the beliefs of the organization. The key to reaching digital metamorphosis is found in “socialization.” Learning the acceptable behaviors of the group will enable staff to be transformed from outsiders to highly-valued members of the organization. It’s in this last stage that employees will find it inherently difficult to quit their jobs because they don’t want to leave their friends behind or because they find themselves engaged in something more meaningful than making a little more money. The additional $1 per hour from the hotel down the street will mean nothing to them compared to their new-found identity of performing an important role within the organization – one that helps the company, each guest, and ultimately themselves. 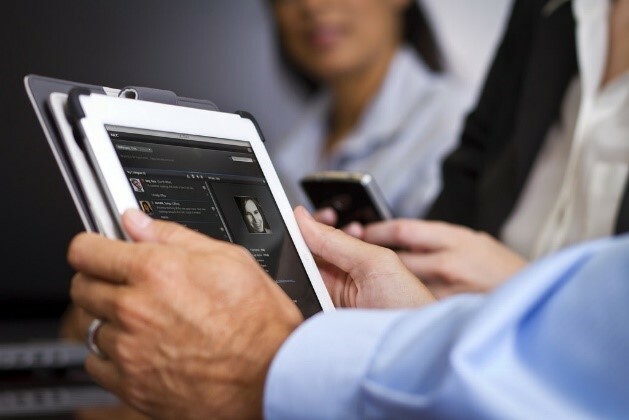 The best way to engage employees and get them to embrace a hotel’s culture is to connect them digitally to the organization. Linking employees across locations and departments in real time via mobile or desktop devices will keep each person wanting to learn more about the company … their department … VIP guests who may be arriving that day or that week … a new hire … an incentive contest … or even a new corporate policy. Digitizing the workforce will help companies improve internal communication and streamline business processes. It’s an ideal way to connect non-desk workers to company news, updates and protocols; share crisis communications messaging; onboard new hires; and motivate existing employees and share their achievements. In other words, it keeps employees connected to management and each other. A general manager wakes up in the morning, pours a cup of coffee, opens the hotel’s communication app via his or her smartphone, tablet or computer and reads about what’s happening throughout the day before getting dressed for work. Even if it’s the GM’s day off, he or she can remain connected to the hotel and can communicate with staff if needed. A human resources director holds a meeting to announce a new company-wide security initiative. 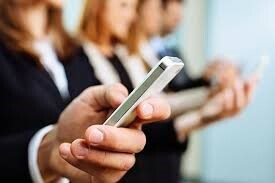 After the gathering, he or she can use the communications app ask the team whether they found the information helpful. Additional questions that employees may have after the meeting can be asked and answered via the app. Employees who were not on duty when the meeting was held still get to weigh in and ask questions. A food-and-beverage director issues a new challenge: “Help Us Name Our New Employee Dining Room.” Using the communication app as a survey tool, employees submit suggestions via the app. Names are narrowed down and the options are posted and shared via the app. Once out for a final vote, a name is chosen and the employee who submitted the name is recognized and rewarded. A housekeeping manager wants to communicate with team members while the property is closed following a natural disaster. She uses the mobile app to check on staff and discuss returning to work. The tool automatically translates the message into each recipient’s native language. A front-office manager wants to introduce hotel staff to a new front-desk clerk who will be starting the next day. Information on the new hire, along with her photo, is shared via the communication app. When the new team member arrives the next day, she is greeted by name immediately by all staff who walk by. Co-workers who may share the same interests have something to chat about with the newbie, making her feel welcome and right at home. When colleagues are connected, it makes them feel part of the hotel family, thereby making it difficult to take a job elsewhere due to relationships forged. It engages employees at a basic level. It gives them a voice, rewards them for contributing to a cause and doing something good, creates loyalty, and drives job retention. It makes employees feel a part of something big, something important, something with a social conscience. On the low end, it costs a hotel approximately $4,000 to hire, train and uniform an employee. Just think how much money can be saved – and how many employees can be retained – with the right tools and processes in place. Connie Rheams is Vice President, Hospitality, for Beekeeper, an employee communication platform that connects and empowers entire workforces, including non-desk and frontline workers. Rheams is an industry advocate for the need to create strong employee engagement in the workplace to reduce turnover, improve employer-to-employee communications, and enable hotel companies to become exemplary employers.